Jakob Denner was one of the most famous woodwind makers of the Baroque period, from Germany. Denner was one of two sons of Johann Christoph Denner (a woodwind maker and the inventor of the clarinet). 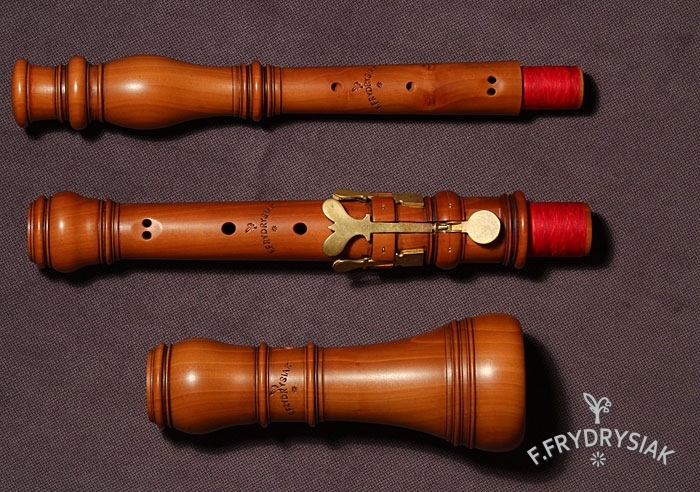 J. C. Denner and Jacob Denner manufactured a variety of types of woodwinds, such as recorders, flutes, bassoons, clarinets and oboes, of course. Luckily for us, a lot of oboes made by Jakob Denner have survived to our times. Many of them are still in very good, playable condition. I make a copy of the instrument from c.1720. It has – as all the known originals – only one double hole and three keys. The fact is that in this case a single “f” hole is all that we need. On Denner’s oboes (and so on my copies, too) a single “f” hole works very well for f#. Moreover, fingerings are easier for oboists. For special request I can make double “f” hole. 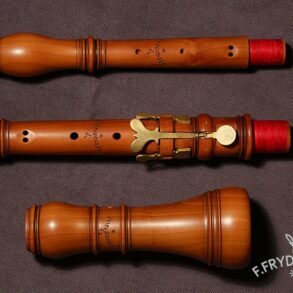 These oboes have the typical German sound of the Baroque era – very delicate when we need it but, on the other hand, very strong and powerful when we want it. “b” and ”f” from the first octave are quite strong and stable. An incredibly dynamic range… In my opinion Denner’s oboe is one of the best Baroque instruments. Good choice for all serious players.